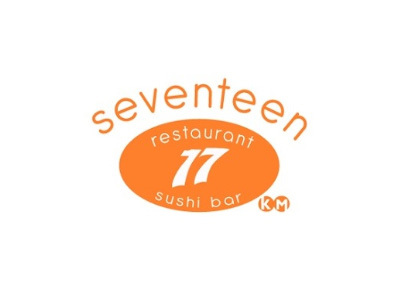 17 Restaurant and Sushi Bar is a few blocks from the beach, on the corner of 17th Street and Alton Road, 17 Restaurant and sushi bar offers a unique blend of cuisine in a relaxed and informal atmosphere. Kosher under the supervision of Miami, 17 restaurant offers a delicious range of Italian dishes of traditional Japanese sushi and gourmet dairy products certified by Yisrael Cholov. His expansive sushi bar serves classic and special with fresh vegetables and rolls Seafood. Also known for its gourmet pizza and filled sandwiches like their fish rolls and tempura, 17 has something for all tastes, so it's a neighborhood favorite. 17 Restaurant and Sushi Bar - Dairy Restaurant Cholov Yisrael Kosher full of new flavors and delicious gourmet meals, the well respected and follows the traditional values kosher and provides special features: Food Kosher, services of third Kosher, Outdoor seating, the delivery, children's menu, daily specials, vouchers, luxury desserts. In an informal and friendly atmosphere, they offer professional customers service and the exceptional Italian cuisine service and one of the most respected sushi bars. Having a romantic atmosphere and wide selection of sushi and simple rustic Italian cuisine and light nearby, 17 Restaurant and Sushi bar free delivery to your door in higher or $20 meal purchases. Price of the meals at 17 Restaurant and Sushi bar are quite affordable, ranging from Main cources $10-$21, Salads $8-$11, Pastas $11-$17, Sushi $2-$16.